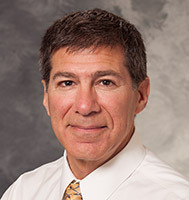 Dr. Perlman is the Chief of the Division of Nuclear Medicine and Director of the UW PET Imaging Center. His research interests include PET imaging in oncology and the use of positron emision tomography to evaluate inflammatory disease. Dr. Perlman provides a wide range of nuclear medicine services, including general nuclear medicine, nuclear cardiology, BMD and PET scans.